Coffee beans have earned credit for their potential to aid in weight loss. Not all coffee beans have this potential, however. Only unroasted coffee beans contain the active ingredient chlorogenic acid, thought to promote weight loss. Research shows that unroasted coffee beans, also commonly referred to as green coffee beans, have a modest effect in reducing body weight. The process of roasting coffee beans provides their flavor, aroma and color. But it also breaks down the chlorogenic acid believed to boost weight loss. While only roasted coffee beans are appropriate for brewing coffee, only unroasted green coffee beans are useful in formulating weight-loss supplements. Unroasted coffee beans, which have a bitter flavor, a green color and very little aroma, have become common in weight-loss products, and their potential body-weight-reducing benefits have stirred much debate and research. A clinical trial published in 2012 in "Diabetes, Metabolic Syndrome and Obesity" set out to evaluate the safety and efficacy of green bean coffee extract in overweight individuals. The randomized, placebo-controlled, double-blind crossover study included 16 overweight adults and lasted 22 weeks. The result was an average weight loss of almost 18 pounds, with a 4.44-percent average drop in body fat percentage. The authors concluded that the brand of green coffee bean extract used in the study was an effective tool for reducing weight in preobese adults and may also be useful in preventing obesity. A 2011 meta-analysis published in "Gastroenterology Research and Practice" reviewed three random controlled trials that tested the effect of green coffee bean extract on weight loss. According to the review, a high risk of bias existed in each of the studies. But the authors concluded that the evidence indicated that green coffee bean extract can in fact promote weight loss, though the effect is small. The authors also noted that longer trials are necessary to more effectively assess green coffee bean extract as a safe and effective weight loss supplement. According to the NYU Langone Medical Center, green coffee bean extract is a safe substance, and human studies have reported no serious side effects. 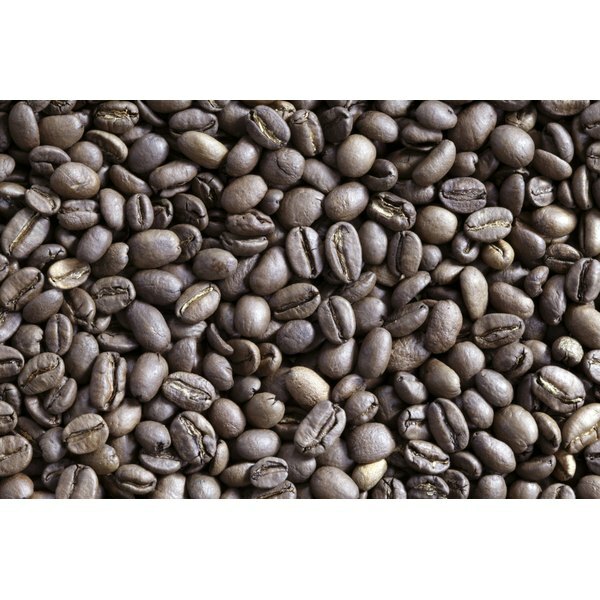 But green bean coffee extracts do contain approximately 10 percent caffeine by weight. The medical center notes that the most effective dosage is 185 mg per day, which contains 60 mg of chlorogenic acids.